PC software package providing detailed control and analysis for multiple LSP-HD thermal imaging linescanners. Software can support up to 8 linescanners simultaneously. A flexible PC control interface for the LSP-HD linescanner range, LANDSCAN Windows Control and Analyse (WCA) software enables viewing and analysing of multiple live and historical temperature data streams. The successor to LANDSCAN for Windows NT, LANDSCAN WCA offers display and analysis of data from multiple LANDSCAN Head and Saved data file combinations, offering versatile data processing options adaptable to your application needs. With fully scalable input/output capabilities to meet your precise application requirements, the tagging and linking of multiple live data streams enables Production Process databases to be created with ease. 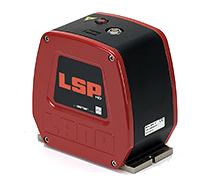 Easy to configure with full “plug and play” compatibility with the LSP-HD range, LANDSCAN WCA brings advanced, high-resolution thermal imaging data to applications across the glass, hydrocarbon processing, industrial processing and steel industries. A Combined Data Source facility extends product coverage using multiple LANDSCAN Heads, while optional interfacing to external process sensors can be made via the optional LANDSCAN I/O interface. LANDSCAN WCA provides access to temperature measurements and processed data via a range of standard industrial interfaces including cross-platform TCP/IP protocol, OPC, analogue signals and alarm outputs. Live and historical data can be accessed at several LANDSCAN WCA client workstations by linking them to the LANDSCAN WCA data server workstation. Plant Communication (Product Determination Information (PDI), Processed Product Information (PP), Post-Product Processed (PPP)). For example: PDI for One Head / PP for One Head. LANDSCAN WCA is AMETEK Land’s software utility for display and analysis of data from multiple LSP-HD linescanners.